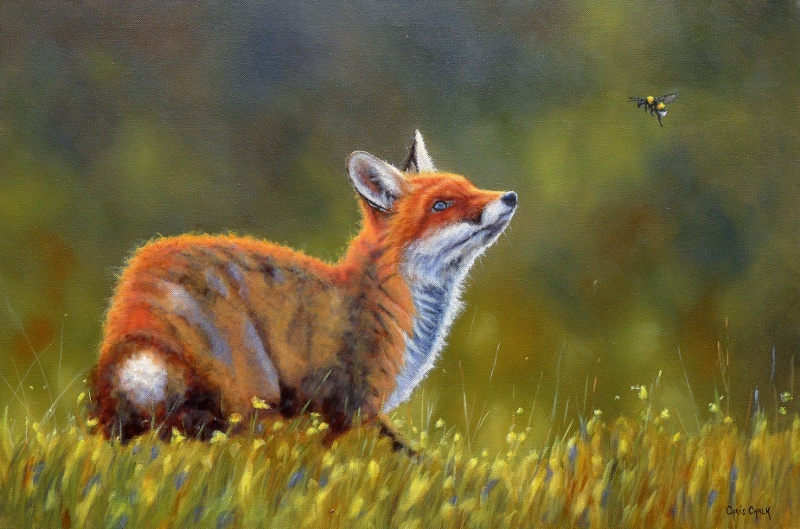 This fox painting was inspired by a family of foxes I see regularly playing and feeding in the field behind my house. I've spent many evenings watching this lovely family of foxes this year (2016), and seen the fox cubs grow from vulnerable youngsters into bold confident adults. 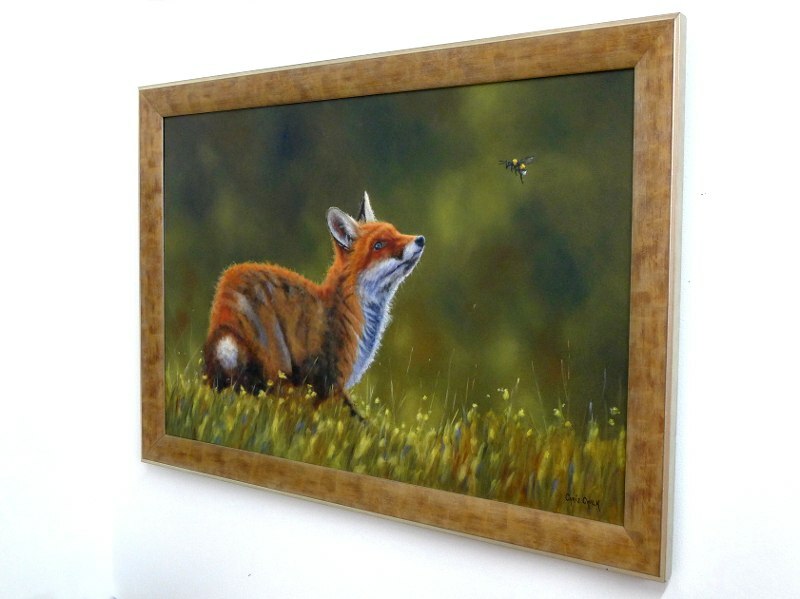 "Want To Bee My Friend"
Painted on Loxley Gold stretched canvas, 30 inch x 20 inch x 1/3 inch - This painting can be framed or hung un-framed ( frame shown solid wood gold/brass colouring - optional extra ).